2nd March 2015 | filed under Aesthetic Treatments, Face, HydraFacial, Non Surgical. Here at Aesthetic Skin Clinic, we offer a wide range of treatments that help you to get the best skin possible. One of these treatments is HydraFacial, which is a medical grade facial treatment that provides instant results as well improving the general health of your skin. In this post, we’ll take a closer look at this unique treatment and what it can do for you. The HydraFacial treatment combines cleansing, exfoliation, extraction, hydration, antioxidant protection and red LED light therapy. Cleansing and Exfoliation. Dead skin cells are removed to reveal healthy skin. Infusion of glycolic solution, which helps to loosen impurities, blackheads and debris from pores without irritation. Painless, automated extractions use vortex suction to clean out pores and remove blackheads. Antioxidants and Hyaluronic Acid are infused to nourish and protect the skin. The HydraFacial Daily Essentials help maintain, prolong and enhance results between treatments. 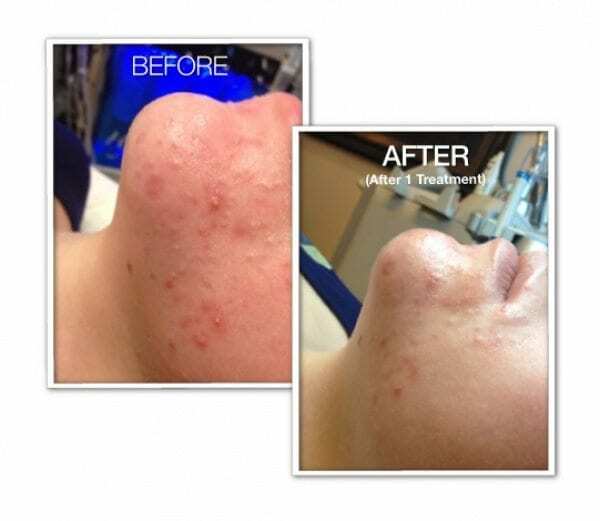 There are many different skin complaints that can be improved through the use of HydraFacial treatments. Pigmentation issues – Such as sun damage, age spots, liver spots and brown marks. Wrinkles – In conjunction with the Dermabuilder treatment, your skin is encouraged to produce collagen and improve the strength of cell structure. Acne – HydraFacial is ideal for acne sufferers as it drains the fluid from between the cells in your skin and removes blockages in pores. 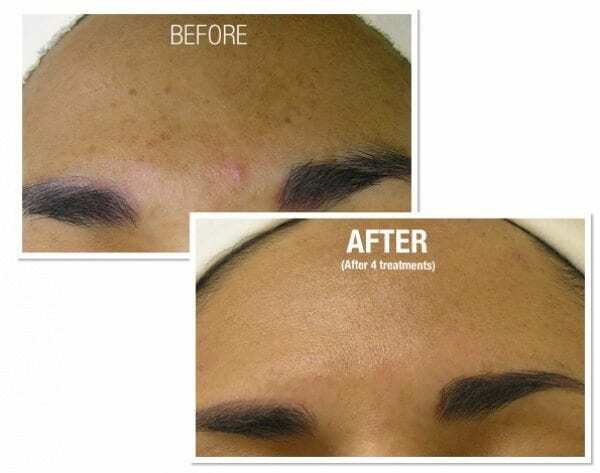 The treatment is quick and simple that can last as little as 15 minutes. There’s no pain involved, and has been described to feel like ‘a cool paintbrush moving across the face.’ Once your session is complete, you can apply makeup and carry on with your day. Many people will see results after just one treatment as it gives immediate radiance and refinement. The visible effects should last up to seven days, so it’s recommended that the treatment is repeated once a month to maintain fresh, glowing and hydrated skin. Here at Aesthetic Skin Clinic, our goal is to make sure that you’re happy with the skin you’re in, so we offer a wide range of treatments that’ll improve and perfect the condition of your skin. If you’d like more information about any of our products or treatments including hydrafacial in Belfast, hydrafacial in Guernsey or hydrafacial in Jersey, please contact us today by calling 01481 736699 to speak to a member of our team.